GCAA Board of Directors "I Can See Clearly Now"
The Greater Charlotte Apartment Association Board of Directors was recently challenged to take on a special project to benefit Urban Ministry Center (a multi-faceted support services provider for the homeless). 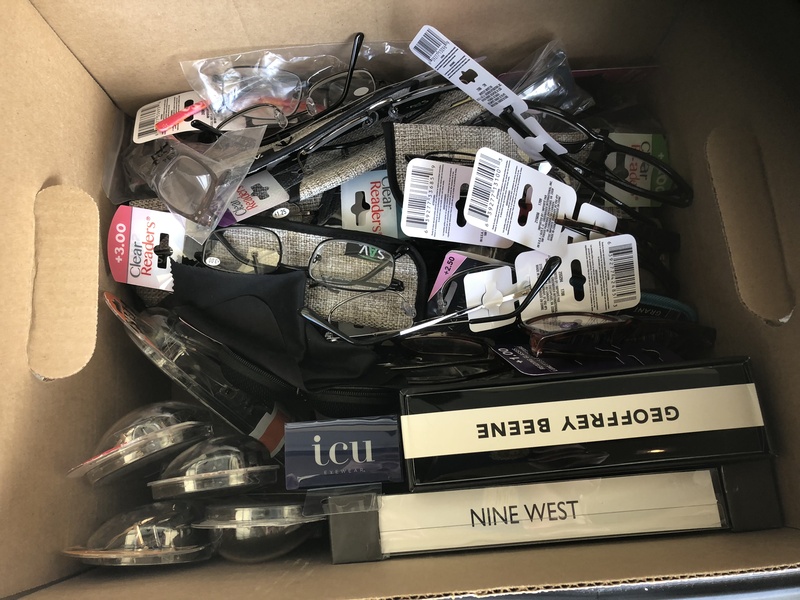 The project was name "I Can See Clearly Now," and its purpose was to collect and donate reading glasses of various magnifications for UMC to give to our "neighbors in need." Imagine the frustration of being unable to read a job application or needed services application due to poor eyesight. As always, the Board members came through in a big way! GCAA's Board donated 103 pairs of brand new reading glasses to Urban Ministry Center! Well done! GCAA's Board also did an "Operation Crew Socks" last Christmas Eve and collected 357 pairs of socks, 100 toothbrushes, toothpaste, and dental floss. Several Board Members, including GCAA"s Executive Director, Ken Szymanski, helped hand them out. Thank you to Lynn Ramsey, Property Director with Weinstein Properties, for submitting this article. Are you interested in sharing your story with AANC? Learn more and share your story here!